You know those times when there's a polish colour you didn't know you needed or even wanted until you see someone else rocking it? 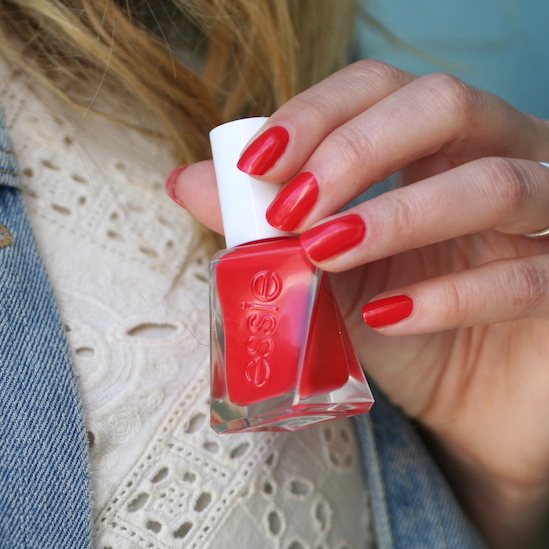 That's how Essie Flashed was for me. We were in New York and I got to choose any summery Gel Couture shade I wanted to swatch and this one wasn't even on my radar. I actually told myself I didn't need a red Gel Couture at all because I have so many red Essie's and I don't wear them that often. If I do think of wearing red, it's usually deep and berry toned and I wear it around Christmas. A shade like this never even crossed my mind. But then Taryn (@missladyfinger) grabbed it and put it on and my eyes were so drawn to her nails! 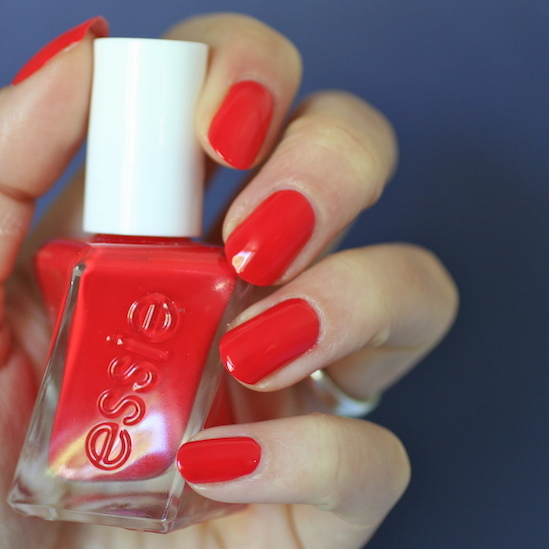 This is THE PERFECT bright summery red with a hint of orange. I couldn't leave without getting a bottle of this electric poppy for myself. Of course it goes perfectly with my summer wardrobe. This was absolutely the colour I didn't know I needed! The formula is perfection. Application is easy and buttery in 2 coats. I'm obsessed. So in love with this shade. Thanks for the inspo Taryn!